Solix Common Data Platform now supports GDPR compliance; Solix announces online GDPR readiness assessment services. Solix's Common Data Platform and Solix’s GDPR Readiness Assessment helps enterprises to not only meet the challenges of GDPR, but also work towards an accelerated compliance roadmap. 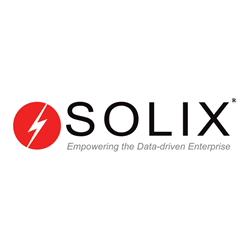 Solix Technologies, Inc., a leading big data application provider for empowering data-driven enterprises, today announced new data governance capabilities and assessment services to address General Data Protection Regulation (GDPR) readiness and compliance, in addition to a free online GDPR readiness grading tool. Available as part of Solix Common Data Platform (CDP), the new capabilities and services enable European Union (EU) and Global enterprises to implement robust support for GDPR compliance. GDPR requires companies to provide access and control over the information they hold about people, and requires that personal data be protected from misuse and unauthorized access at every stage in its lifecycle. With the GDPR enforcement date of 25 May 2018 looming, organizations are required to implement new enterprise data management processes or be subject to heavy fines. The Solix Common Data Platform (CDP) is an application framework for the data-driven enterprise. Key capabilities include uniform data collection of structured and unstructured data, data governance and retention management, data security and access control, enterprise archiving, and data lake and advanced analytics applications. Data protection by design: Personal data must be protected from misuse and unauthorized access at every stage in its lifecycle. The right to be forgotten: Individuals have the right to request deletion of all their PII data. Organizations must comply with such requests within a reasonable time. Data transfer and portability: Individuals have the right to move their data to another provider upon request. The data should be made available in industry acceptable format in a safe and secure way, without hindrance to usability. Additionally, organizations must restrict transfer of PII data outside of the EU. Data processing and profiling: Processing of personal data is limited to explicit permissions given by the individual. Profiling should be explanatory and should avoid any bias. Integrity and availability: Organizations must maintain data accuracy and restore access to personal data quickly, following an outage or failure. Accountability: Log and provide audit trails for all data consents, collection, updates, processing, and deletion. Additionally, Solix has announced a GDPR readiness assessment and additional services, to assist clients with preparation and maintenance of GDPR processes. According to Gartner, by the end of 2018, more than 50% of companies affected by GDPR will not be in full compliance with its requirements. At the Symposium, Solix will present on GDPR and its impact on legacy data, presented by Peter Evans, Senior Director Big Data Solution, Solix Technologies, Inc. at 1:35PM on Tuesday, November 7 at ITxpo Stage 2. Information Lifecycle Management (ILM) framework for safe, secure, compliant enterprise data management. Solix Enterprise Archiving for archiving or retiring enterprise applications to improve production application performance and reduce infrastructure costs. Solix Data Lake helps streamline the process of staging enterprise data for Archiving, Data Science, Analytics, and EDW optimization.